How cinema turns viewers into creatives. The Electric Cinema in Birmingham, Britain’s oldest working cinema, is not just a place of pilgrimage for those interested in the history of innovation. Like Birmingham itself, The Electric encapsulates modernity. 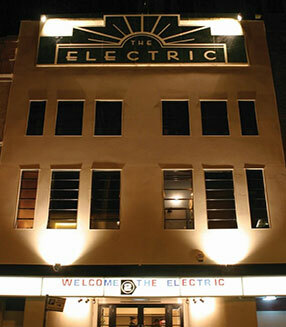 The Electric, which opened in 1909, is at the cutting edge of the UK’s cinema revival. Today, digital cinema makes small cinemas viable. If you don’t own one, you can make one. We’re used to understanding the film industry in terms of audience numbers, production cost and box office takings. The story of British cinema’s struggle to keep these numbers going in the right direction reveals an unexpected plot twist. In the UK, cinema attendance peaked with demobilisation: 1.635 billion cinema admissions were issued in 1946. By 1960 (the year of The Magnificent Seven and Pscyho) attendance fell below 500 million. Low tide was reached in 1984 (Ghostbusters and Terminator), when just 54 million tickets were sold in the UK. Costly, old-fashioned, unkempt cinemas, seemed out-dated and unfashionably communal. However, since 2003 average annual spending on cinema has increased by almost 50%. According to The British Film Institute, takings at cinemas passed the £1 billion mark in 2011. Attendance figures are over three times their mid ‘80s low point. Why? We have all lost our favourite picture houses. In the rubble of all the Gaumonts, Plazas and Globes, the affection people had for the once mighty portals into other worlds proved inspirational. 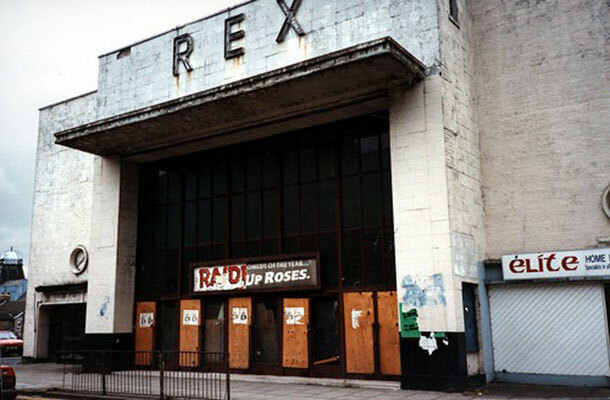 Cinema trades in emotion and in 1986 a Welsh film called ‘Coming Up Roses’ or ‘Rhosyn a Rhith’ received international acclaim for capturing a community’s unwillingness to say goodbye to its collapsing cinema. In this comedy, the locals save the cinema by growing mushrooms in dark damp recesses of the old building. The Rex in Aberdare, an inspiration - demolished in 1993. The places where we gather to watch movies are just as important as the films we go to see. Today, according to the UK Cinema Association, two business models are realising the potential of cinemas. 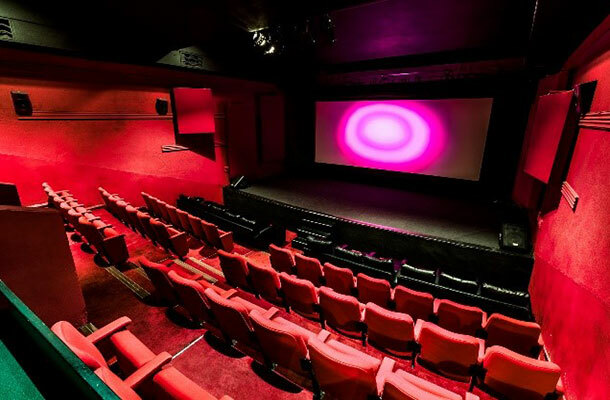 Over the last five years the six largest UK cinema companies estimate that they have invested over £400 million in sustaining and growing the country’s cinema infrastructure, a period which has seen 40 new cinemas open across the country. Digital cinema technology has allowed the traditional cinema offer to expand to give audiences even greater choice in what they see. The cinema is the story. All over the country business people, community groups and festival organisers are creating their own digital cinemas. This year Creative Scotland published research showing 60 film societies/clubs were recorded in 2016, compared to just 35 recorded in 2005. Moreover, 69 festivals showing film occurred in Scotland, compared to 11 in the 2005 report. Cinemas are also spreading, in 2003 there were 3486 screens throughout the UK, at the last count there were 4115. The re-invigoration of cinemas extends across the board: large chains of multiplexes, medium sized groups of cinemas and individual and community concerns are all exploring, re-branding and re-defining the experience of cinema. From London’s burgeoning independent cinema scene to Hull Independent Cinema, which opened in 2012, to The Small Cinema in Liverpool’s Victoria Street (2015), to Blaenau Ffestiniog’s police station cinema (2016) to a luxury twenty seater at Burnham Market (2016), new cinemas are mushrooming in villages, towns and cities. Initiatives like the BFI Film Audience Network and Cinema For All offer advice and technical assistance for converting spaces into places. For creatives and inventives who love film, a cinema can be a boutique or a boudoir. A cinema and its brand are, just as much as the movie, the story. Since the early 2000's independent cinemas have found new audiences looking for an alternative to the multiplex. This is in part due to the proliferation of digital projection and the flexibility that provides, allowing the distribution of hundreds of films a year along with 'alternative content' such as music concerts, theatre by satellite and sporting events. Not even during the golden age of the 30s and 40s did cinema goers have such a vast choice of programming in such a diverse range of venues as they do today. Images of The Electric and Rex cinemas: © Thomas Lawes Media Ltd and © Jeffrey Morris.